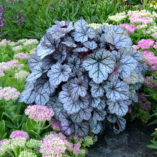 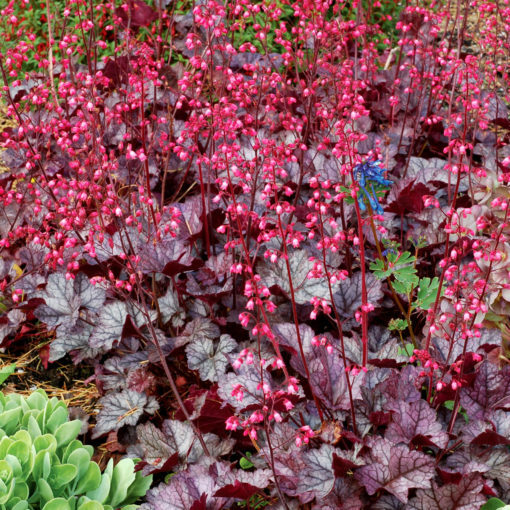 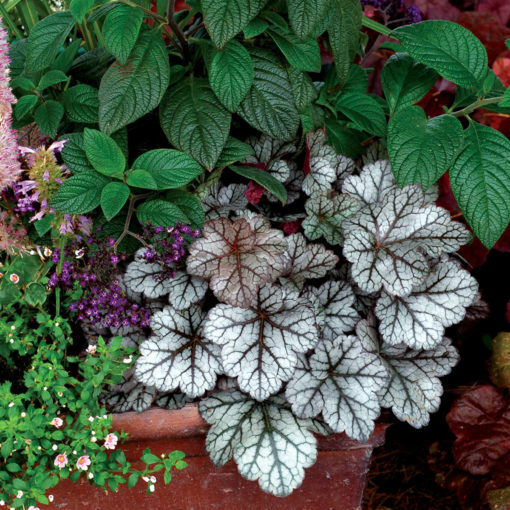 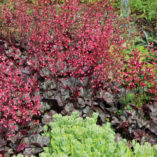 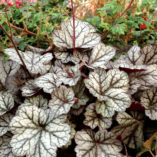 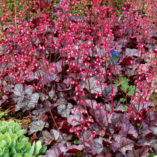 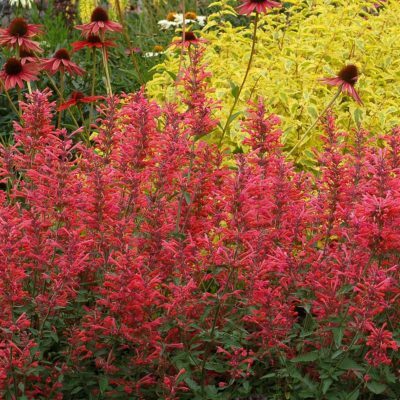 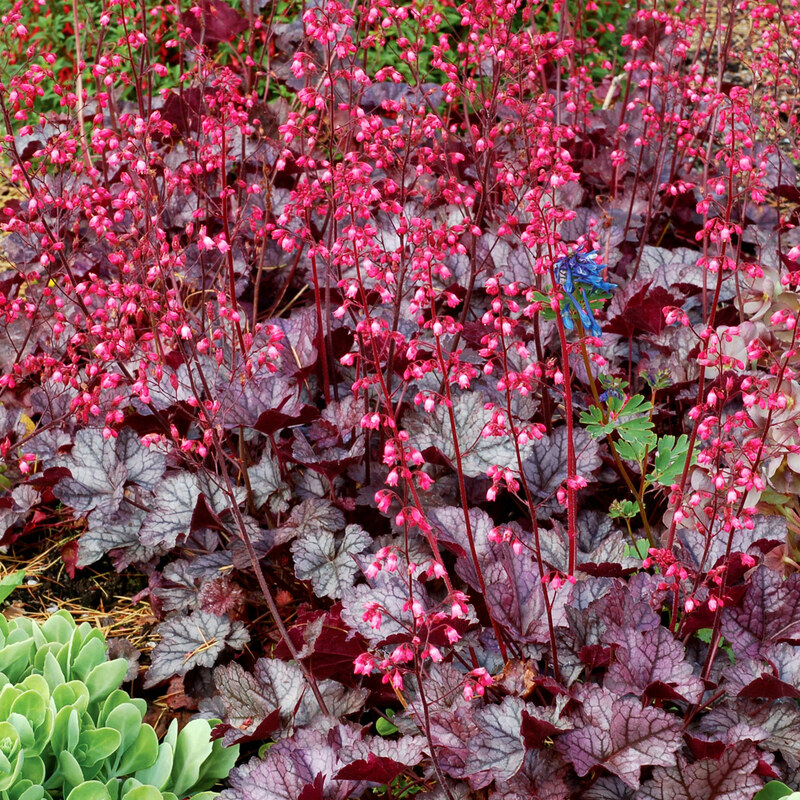 Heuchera ‘Glitter’ | TERRA NOVA® Nurseries, Inc.
One can spot H. 'Glitter' a mile away; there truly is nothing else like it. 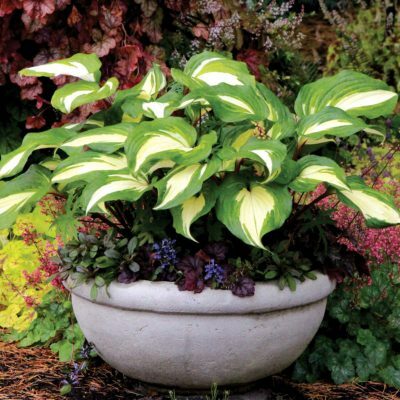 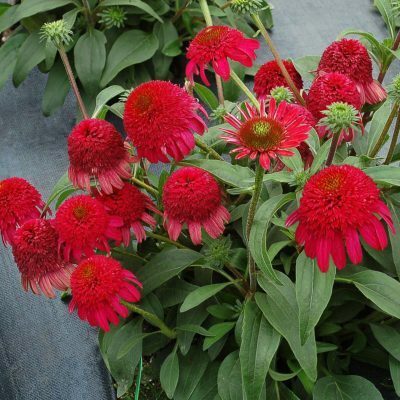 Not only does it have mirror-bright silver foliage, but it has contrasting black veins that really sparkle. 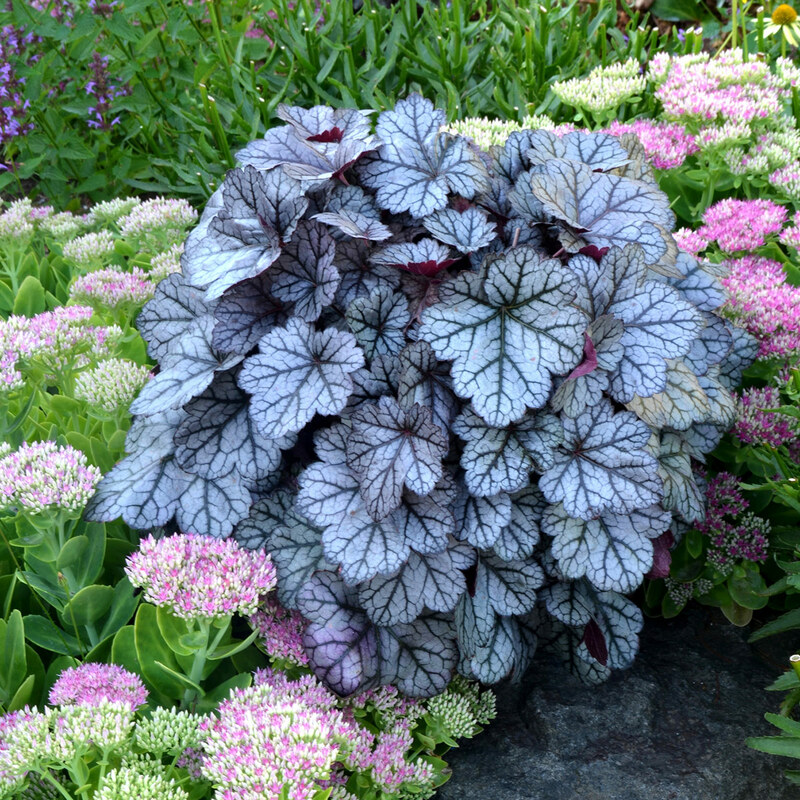 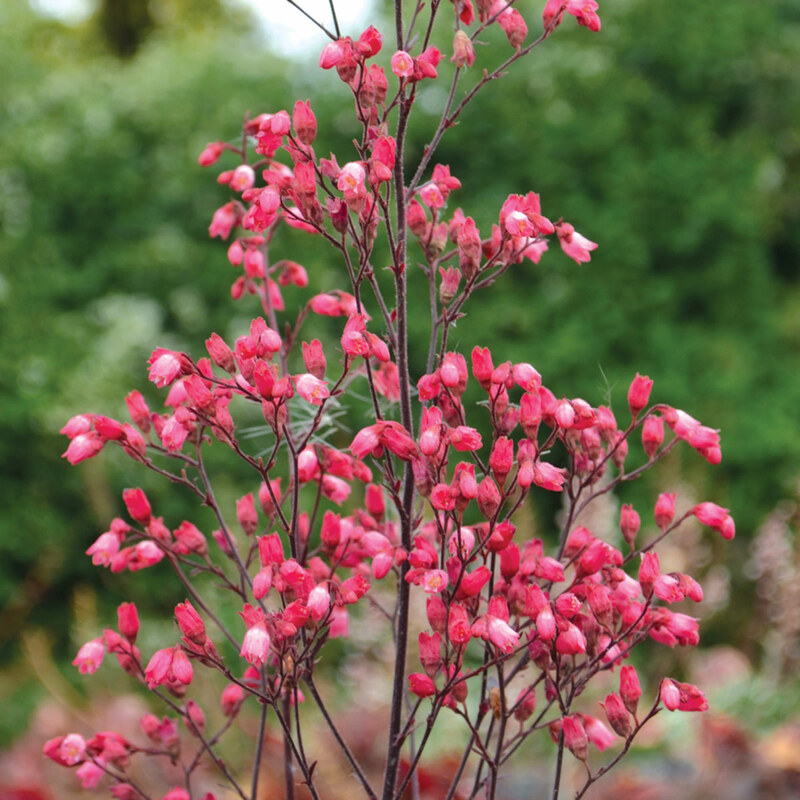 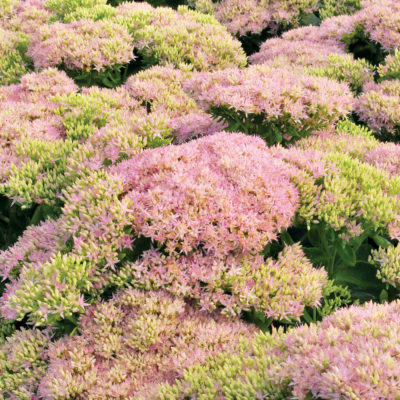 The soft violet leaf back is as pretty as the top, but is rarely seen due to the ultra-neat habit of the plant. To top off this Hollywood Glam introduction, it has fantastic bouquet-type flowers of exotic fuchsia-pink. Yes, it is garden bling! 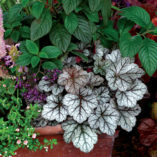 10" / 14" / 16"
Compared to 'Silver Scrolls', it is shinier and more silver. 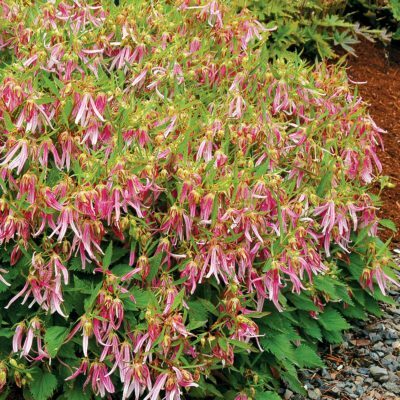 The fuchsia pink flowers (rather than light pink) are shorter and much showier and not at all messy.